Hand Drawn Vector Abstract Graphic Creative Cartoon Illustrations Poster Or Print With Old School Tattooed Unicorn With Parachute ,comets And Planets In Cosmos Isolated On White Abstract Background. 免版稅剪貼畫，向量插圖和股票. Image 116845750. 版權商用圖片 - Hand drawn vector abstract graphic creative cartoon illustrations poster or print with old school tattooed unicorn with parachute ,comets and planets in cosmos isolated on white abstract background. 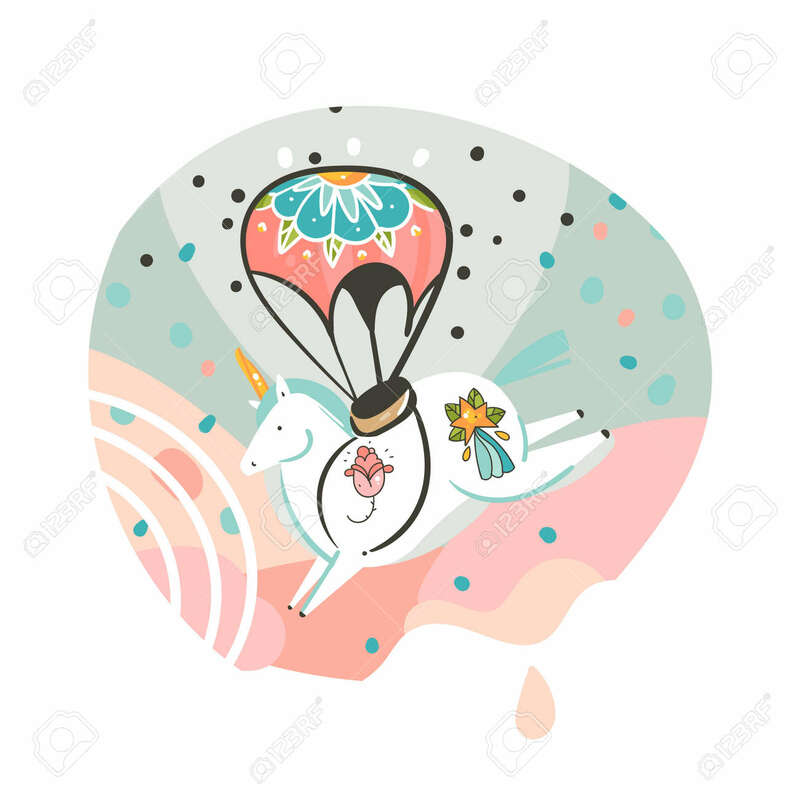 Hand drawn vector abstract graphic creative cartoon illustrations poster or print with old school tattooed unicorn with parachute ,comets and planets in cosmos isolated on white abstract background.